In Jones v. Las Vegas Metropolitan Police Dept., the Ninth Circuit Court of Appeals held that any reasonable officer would have known that continuous, repeated, and simultaneous tasings could only be justified by an immediate or significant risk of serious injury or death to officers or the public. However, such force generally cannot be used on a prone suspect who exhibits no resistance, carries no weapon, is surrounded by sufficient officers to restrain him and is not suspected of a violent crime. In the early morning of December 11, 2010, Officer Mark Hatten of the Las Vegas Metropolitan Police Department pulled over Anthony Jones for a routine traffic stop. Hatten ordered Jones out of the car so he could pat him down for weapons. Jones obeyed at first but then started to turn toward Hatten. Scared of the much larger Jones, Hatten drew his firearm, pointed it at Jones and ordered him to turn back around. Instead, Jones sprinted away. Hatten called for backup and pursued Jones. Hatten didn’t believe deadly force was necessary because Jones hadn’t threatened him and didn’t appear to have a weapon. As he waited for other officers to arrive, Hatten used his taser to subdue Jones. Hatten fired his taser twice, causing Jones’s body to “lock up” and fall to the ground face down with his hands underneath him. Hatten proceeded to kneel on Jones’s back in an attempt to handcuff Jones, keeping his taser pressed to Jones’s thigh and repeatedly pulling the trigger. Hatten continued to tase Jones even after backup arrived. Backup consisted of four officers: Richard Fonbuena on Hatten’s right side, who helped handcuff Jones; Steven Skenandore, who controlled Jones’s legs and feet; Timothy English at Jones’s head, who applied a taser to Jones’s upper back; and Michael Johnson, who arrived last and ordered the tasing to stop. Johnson wanted his officers to “back off on the tasers so that Jones’s muscles would relax.” According to Johnson, Jones “didn’t look like he was physically resisting” and there were “enough officers” to take Jones into custody. In all, Jones was subjected to taser shocks for over ninety seconds: Hatten tased Jones essentially nonstop that whole time—with some applications lasting as long as nineteen seconds—and, for ten of those seconds, English simultaneously applied his taser. Once the officers stopped tasing Jones, his body went limp. They sat him up but Jones was nonresponsive and twitching; his eyes were glazed over and rolled back into his head. The officers tried and failed to resuscitate him. Jones was pronounced dead shortly thereafter. The coroner’s report concluded that “police restraining procedures”—including the tasings—contributed to Jones’s death. Jones’s parents sued the Las Vegas Metropolitan Police Department and all of the officers involved in restraining Jones. They alleged Fourth and Fourteenth Amendment violations as well as various state law torts. However, the lower district court granted summary judgment for the defendants on all claims. The plaintiff’s appealed. Whether police officers are entitled to qualified immunity when they’re alleged to have caused the death of a suspect by using tasers repeatedly and simultaneously for an extended period. As a preliminary matter, the Court of Appeals held that under Fed. R. Civ. P. 17, the lower district court abused its discretion by failing to give plaintiffs a reasonable opportunity to substitute the proper party and thus cure the defective complaint. The Court also reasoned that that such force generally cannot be used on a prone suspect who exhibits no resistance, carries no weapon, is surrounded by sufficient officers to restrain him and is not suspected of a violent crime. Furthermore, it reasoned that given that there was clearly established Fourth Amendment law and a jury could reasonably conclude that the officers used excessive force, the question of qualified immunity must proceed to trial. Furthermore, the Court held that the plaintiff’s state law battery and negligence claims were triable, and should not have been dismissed by the lower district court. It said that while there was no evidence that any of the officers acted out of hostility or improper motive, there was a factual dispute as to whether the repeated and simultaneous tasings were so excessive under the circumstances that they amounted to willful or deliberate disregard of Jones’s rights. The Court of Appeals therefore remanded plaintiffs’ battery and negligence claims. Fourteenth Amendment claim. It said that even assuming all the facts Plaintiffs alleged, there was no evidence that the officers acted with a purpose of harming Jones that was unconnected to a legitimate law enforcement objective. In another twist, the Court of Appeals held that the Plaintiffs’ false arrest and false imprisonment claims failed because there was no evidence that the decision to arrest Jones lacked justification, let alone that it was made in bad faith. The Court of Appeals therefore affirmed the dismissal of that claim. My opinion? A well-reasoned, good decision. Although the Court of Appeals upheld the dismissal of some of the Plaintiffs’ claims due to lack of evidence, the Court was ultimately convinced that the officers’ repeated and simultaneous use of tasers for over ninety seconds was unreasonable. Good decision. We’ve all heard it. Killings by police in the line of duty have surged in Washington and the United States over the past decade, according to a Seattle Times analysis. During that period, only one police officer has been criminally charged in state courts with the illegal use of deadly force on the job. In fact, that case is the only one to be brought in the three decades since Washington enacted the nation’s most restrictive law on holding officers accountable for the unjustified use of deadly force. Not This Time! and Washington For Good Policing (W4GP) are a grass-roots movements that evolved from the killing by the Seattle Police Department of Mr. Che Andre Taylor on February 21, 2016. The campaigns are working to collect 350,000 signatures to put Initiative 873 in front of Washington State’s legislature in January 2017. This is the first legislative initiative of its kind in the nation that would put forth police accountability. If passed, the legislative initiative may be a model for other states. The initiative appears to be gaining momentum. 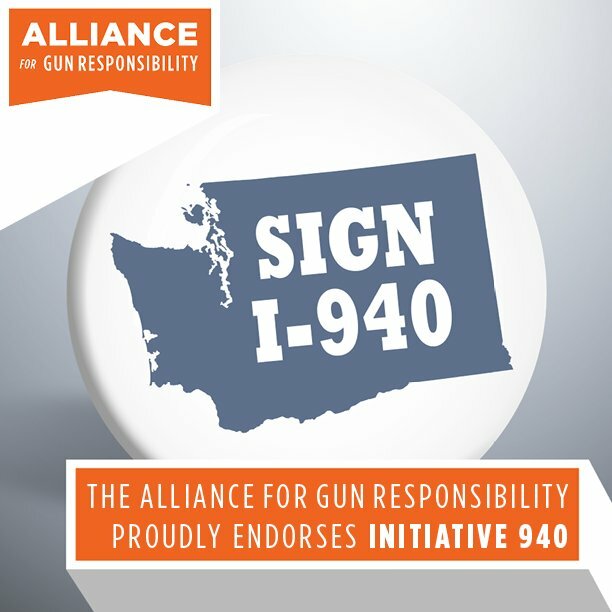 It is endorsed by the Seattle Police Department, the ACLU of Washington, numerous state senators, Seattle Mayor Ed Murray, Seattle City Attorney Pete Holmes, Kshama Sawant and Lorena Gonzalez of the Seattle City Council, Lisa Duggaard of the Public Defenders Association, Jim Cooper and Jessica Bateman of the Olympia City Council. It’s refreshing that I-873 has such a broad range of support, especially from the Seattle Police Department. Let’s move forward with the hope that holding officers accountable for unjustified shootings increases respect for police and professionalism within police ranks. For sure, it’s step in the right direction. In A.K.H. v. City of Tustin, the Ninth Circuit Court of Appeals held the government could not justify a police officer’s use of deadly force during the officer’s attempted investigatory stop of Mr. Herrera. Defendant Osvaldo Villarreal, a police officer in Tustin, California, fatally shot Benny Herrera during an attempted investigatory stop. Herrera was on foot. Officer Villarreal was in his patrol car and had just driven up beside Herrera. Herrera was in the middle of the roadway, moving in the direction of traffic. His left hand was free and visible; his right hand was in his sweatshirt pocket. Villarreal commanded Herrera to take his hand out of his pocket. Less than a second later, just as Herrera’s hand came out of his pocket, Villarreal shot him twice, killing him. Herrera was unarmed. Villarreal does not claim that he saw, or thought he saw, a weapon in Herrera’s hand. Relatives of Herrera (“Plaintiffs”) filed suit under 42 U.S.C. § 1983 against Officer Villarreal and the City of Tustin alleging that Villarreal used excessive force against Herrera in violation of the Fourth Amendment. Villarreal moved for summary judgment based on qualified immunity, which would have effectively dismissed the lawsuit against him. However, the federal district court denied the Officer’s motion. Officer Villarreal brought an interlocutory appeal to the Ninth Circuit Court of Appeals. He argued that, even viewing the evidence in the light most favorable to the plaintiffs, his actions did not violate the Fourth Amendment and that the district court therefore erred in denying him qualified immunity. The Ninth Circuit reasoned it must ask two questions to determine whether Officer Villarreal is entitled to summary judgment based on qualified immunity. First, viewing the facts in the light most favorable to the plaintiffs, did Villarreal use excessive force in violation of the Fourth Amendment? Second, if Villarreal used excessive force, did he violate a clearly established right? Quoting Tennessee v. Garner, the Ninth Circuit reasoned that Deadly Force is permissible only if the suspect threatens the officer with a weapon or there is probable cause to believe that he has committed a crime involving the infliction or threatened infliction of serious physical harm. My opinion? Great decision. Straightforward, direct, constitutionally sound and accurate. I’m happy the Ninth Circuit saw this case for what it was.